In today’s world where everything is so readily available – information is at your fingertips. A quick Google search and you have all the answers, right? Unfortunately it is not that simple. Together with the information overload, there is also a lot of confusion. So many opinions – how do you know which is right and which is wrong? Over the years I have learnt that the best way is to get multiple opinions and to ultimately make your own decision based on how your body reacts. We were all created uniquely and therefore our bodies won’t all react the same. This will be the first of many articles where I will share some general health tips with you. 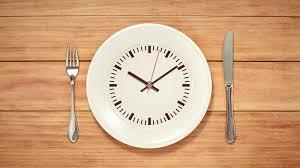 I recommend that you do some research on intermittent fasting. Give it a go and see how your body reacts to this. There are always exceptions to the rule and therefor IF may not be beneficial for everyone – please always do your own research before committing to anything new. As you can see, there are different ways of implementing this lifestyle. It also does not work exactly the same for men and women. I have been following the 16/8 method for two years now and so far it has worked well for me. I am considering having an egg in the mornings due to the fact that I don’t have a thyroid and my hormones feel out of balance. For most, Intermittent Fasting is extremely beneficial and that is why I am sharing this information with you – to trigger your interest in this lifestyle choice. There are many other questions that I have that I am constantly doing research on. Is dairy bad for you? Do we eat too much meat? Are sweet potatoes/yams really healthier than potatoes? Is whole-grain really better? These are all debatable topics and I think we should constantly educate ourselves as new evidence comes to light almost weekly. I will be posting some healthy recipes and more healthy tips every so often – so keep an eye out for those. These posts are mere suggestions and we recommend that you always do your own comprehensive research as well.